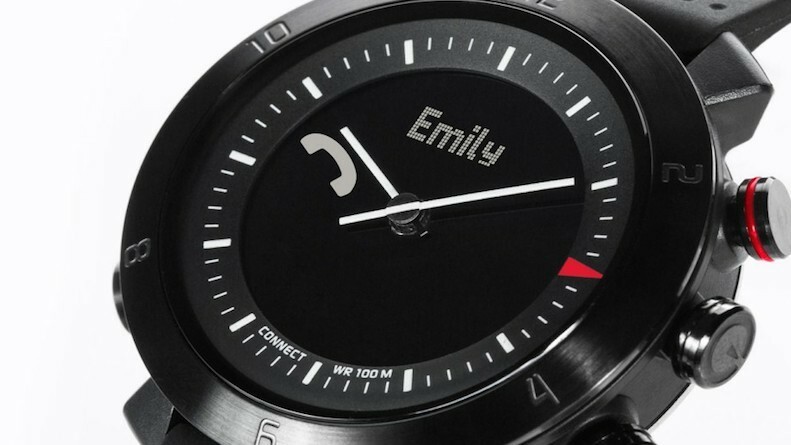 The European SIM Valley smartwatch was the precursor to the TrueSmart; built off same molds, parts, software. Aside other crowdfunded smartwatches kicking-off like The Pebble (on indiegogo), SIMValley re-branded as ‘Omate TrueSmart‘ on KickStarter and blew their goals sky high. Omate, since day one, has lead the market on Standalone, GSM, and SIM enabled Smartwatch Technologies since mid to late 2012. The smart device race began in early 2013 with the introduction of crowdfunding along with Google’s Glass project, rumors. A focus on Bluetooth campanion, smartphone tethered, fitness trackers (for example, The Pebble), left a money-devouring niche for the next 4 years: Data Independent Wearables. Our predictions, use cases, forecasts [Wearables Group] came to conclusion for mass adoption (ex; tablets), a practical wearable device with standalone GSM, Wifi, voice control, automation, faster nanotechnology, smaller components, and finally – the key – seamlessly data driven capabilities; then would the “Smart Watch” reach its first mass consumerism benchmark. The Rise is a revolutionary Smartwatch 3.0: a merger of both Bluetooth® Low Energy Companion and 3G Standalone Smartwatch. As an unlocked standalone smartwatch, the Omate Rise is more than just a Bluetooth® accessory as it can also connect to the 3G network. With the Omate Rise, you can track fitness, call, receive text messages, emails, social media notifications and run apps and other Internet tasks without needing to pair with your smartphone or be connected to Wi-Fi. The Omate Rise features unmatched technologies with Android™ 5.1 Lollipop, 3G connectivity compatible with US (1900MHz) and EU (2100MHz) frequencies, GPS, Wi-Fi and Bluetooth® Low Energy capable to connect both iPhone and Android smartphones via dedicated apps. The Omate Rise runs on full AndroidTM 5.1 Lollipop and Omate User Interface 4.0. Omate will release the Source Code of the Rise to developers via its XDA-Developers page alike the TrueSmart+ Source Code that is now available for the Developer Community. Testing the Omate Rise Prototype Run 2. More photos soon. #carbonfiber #limitededition will start shipping two weeks from now. 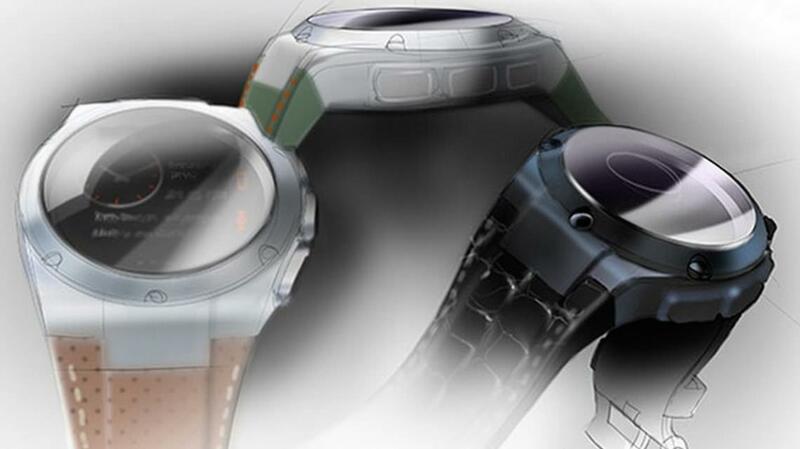 Omate® is a hardware and software company that designs wearable fashion tech products. Omate is a 500startups backed company that operates as a vertically integrated wearable tech design manufacturer based in Mountain View – California and Shenzhen – China. Omate offers a complete turnkey solution platform allowing fashion, watch and jewelry brands to design the wearable tech of the 21st century “Powered by Omate”. Apple Inc. (NASDAQ:AAPL) stunned the world once again on September 9 by launching its newest product, the Apple Watch. This is the Cupertino-based giant’s newest addition to its product line-up since 2009, when the first Apple iPad was announced. As expected, the Apple Watch boasted some interesting features such as the digital crown and various health and fitness monitoring capabilities. The arrival of the Apple in the wearable device shipments category has re-ignited the fledgling smart-watch market, where shipments have already risen by 684% in the first half of 2014. The Apple watch is all set to hit retail stores worldwide starting from 2015, and is already expected to dominate the market. 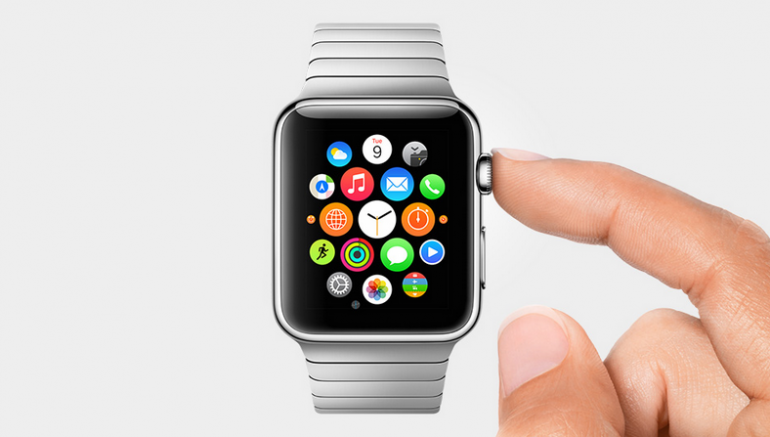 Market Research Analyst firm Canalys has predicted that Apple will effectively dominate the smart-watch market in 2015. However, it would be smart bands that would lead the wearable market, atleast for next two years. 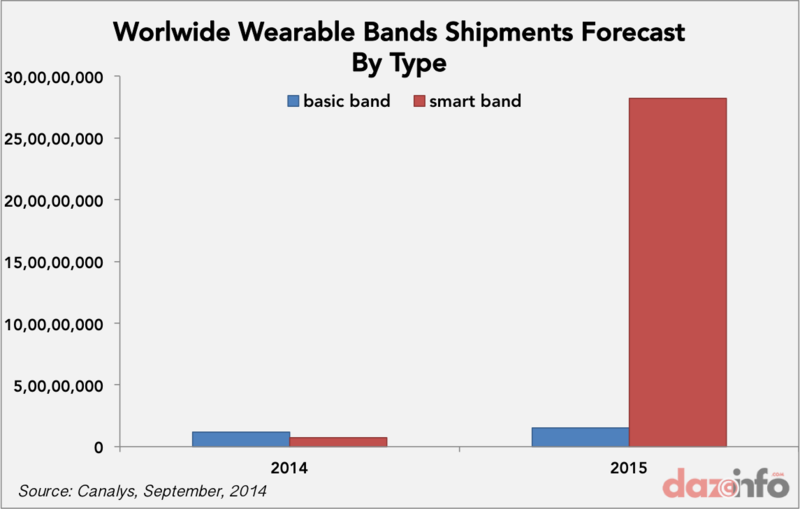 Shipments of wearable band will grow 129% Y-O-Y, to sell a total of 43.2 million units in 2015. Of these, 28.2 million sold will be smart-bands, while 15 million units will be basic bands. Currently, the leaders in this segment are Samsung Electronics Co Ltd. (KRX:005930) , Jawbone and a host of other players such as Motorola, LG Electronics Inc. (KRX:066570) and Sony Corp (ADR) (NYSE:SNE). Why Would Customers Want A Smart Band? The new range of smart-watch devices have been greeted with much skepticism by consumers. Several vendors have offered no solid reason why a customer would ever need one. Although wearable technology such as Google Glass, fitness bands, and health monitors already exist, these are still early days for wearable technology as no one has figured out what they are truly meant for. Sensing the mood, Apple has tried to spark interest through health, fitness, navigation applications as well as workout, activity tracking and mobile payments. But the company is intelligently trying to satisfy two markets by loading features of a smart band and smart watch in one device, Apple Watch. The other players in the market, meanwhile, such as Xiaomi have already unleashed a price war by launching basic bands such as the Mi band at a jaw dropping price of US $13. 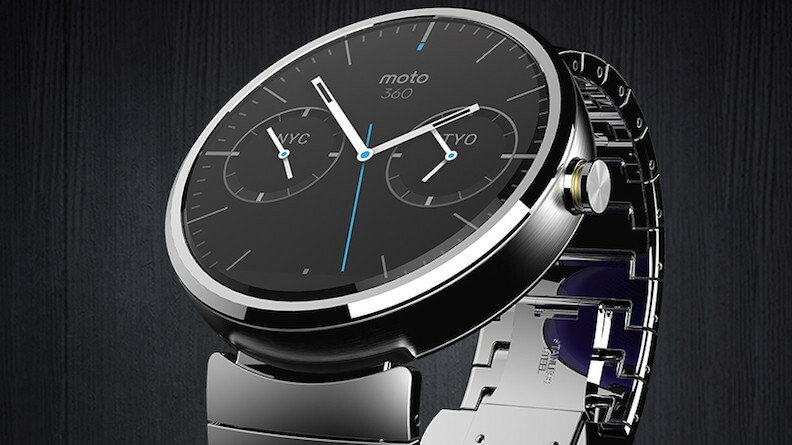 Google too, has pitched Android Wear as a practical ecosystem to compete with Apple Watch. The long term vision of all these device makers will be to extend the capabilities of smartphones, and offer clear value to customers who will be looking to prove the purchase of yet another connected product. Apple’s arrival in this field is extremely significant for good reasons. After pioneering the MP3 player, smartphone and tablet devices, there is immense pressure on the company to repeat the same with smart-watches. With a high price tag of US$349, the device will appeal to initial consumers with plenty of disposable income. Just as with smartphones and tablets, this will create an opening where cheaper and better products will soon enter the market, thus turning smart-watches into everyday mainstream products. Canalys analyst Daniel Matte explained the reason why is Apple’s smart-watch the clear winner among all other brands. ‘By creating a new user interface tailored to its tiny display, Apple has a produced a smart watch that mass-market consumers will actually want to wear. The sleek software, variety of designs and reasonable entry price make for a compelling new product. Apple may have the upper hand initially, but just as with smartphones and tablets the market is prone to several disruptions. As Apple is trying to satisfy two different breeds of hand-wearable device – Smart band and Smart Watch – Fitbit and Jawbone will have the advantage of low-priced products in the near-future, but competition is sure to escalate. This will in turn push the prices of smart-bands even further down, and match the prices of basic bands. With the market poised to grow to 373 million units by 2020, this is a segment with enormous opportunity. The current trends bear characteristics similar to the feature phone market, which was several disrupted when smartphones began to appear. Apple still has plenty of opportunities ahead in the coming months with the release of the iPhone 6, and iPhone 6 plus. Million of units of both devices are expected to be shipped worldwide and trigger Apple’s biggest iPhone upgrade cycle. 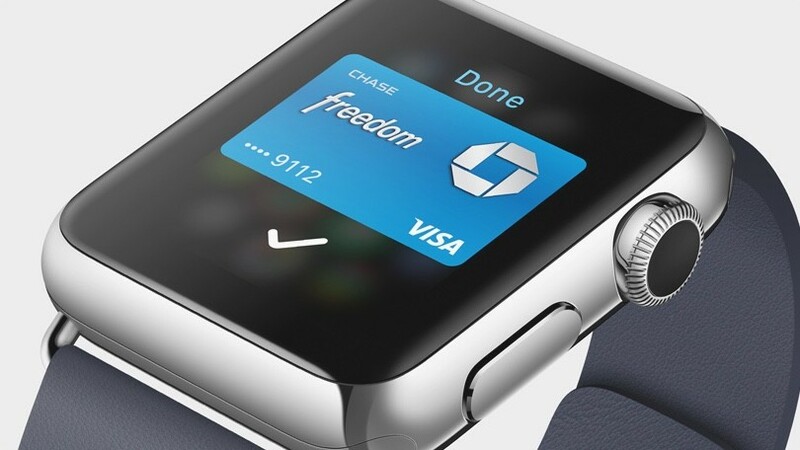 If the iPhone 6 Can Do It – So Can Apple Watch! If the Apple Watch can match the iPhone’s success, the company will have transformed the world once again. For now, though, Apple’s Watch has been criticized for being overpriced and under-innovative, but it has undoubtedly re-ignited interest in a device that has long been considered obsolete.However, it would be also interesting to see how Apple could kill two birds with one stone! SAN FRANCISCO (MarketWatch) – For a product that so far has no price tag, no confirmed release date and is still awaiting federal authorization before it can go on sale, the Apple Watch is already considered by many to be redefining the nascent smartwatch market. Apple Watch is already considered by many to be redefining the nascent Smartwatch market. And Apple’s AAPL, -0.38% decision to get into the smartwatch sector is enough to make consumers consider buying a smartwatch of any kind, according to research from UBS analyst Steven Milunovich. On Monday, Milunovich said that a UBS study based on 4,000 respondents showed that 10% of those surveyed said they were “very likely” to buy a smartwatch over the next 12 months. Milunovich also said that about two-thirds of those who said they were likely to buy a smartwatch would be making the purchase in addition to, rather than in place of, a traditional watch. The worldwide smartwatch market is relatively small, and generated $700 million on sales of just 3.1 million such timepieces in 2013, according to Milunovich, who included FitBands with displays as part of the sales figures. 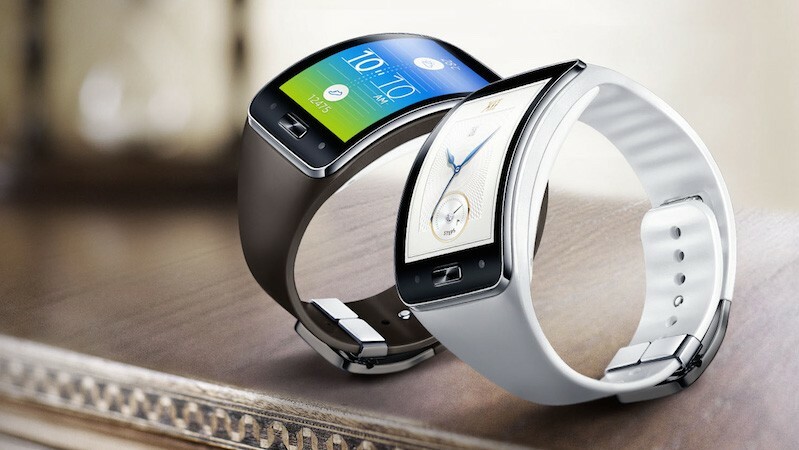 The top-selling smartwatch last year was the Galaxy Gear from Samsung, with 800,000 units sold and a 34% market share. Milunovich reiterated that he estimates Apple will sell 24 million Apple Watches during the first nine months that the devices are on sale, a figure that is based on the possibility that 10% of current iPhone owners will buy one of the new gadgets. Apple Watch owners will also need an iPhone 5 or later phone in order to access all of the Apple Watch’s capabilities. Milunovich, who has a buy rating and $125-a-share price target on Apple’s stock, estimates that the average selling price of the Apple Watch will be about $420 per device, and that Apple could grow sales of the Apple Watch to almost 68 million units by 2018. Apple shares were off by almost 3% at $115.38 in late trading Monday. Two days ago, we heard of Sony’s plans to build a watch made entirely of e-paper — one where the band and the watch face would both change in response to the user’s wrist gestures. It sounded wild and provocatively different, but what we really wanted to know was what it looked like. As it turns out, that watch is already in the public eye, though Sony’s involvement had until now been kept clandestine so as to judge the product on its own merits. Say hello to the FES Watch. The Wall Street Journal reports that the Fashion Entertainments startup behind that crowdfunded watch is in fact a subdivision of Sony, tasked with designing and experimenting with products that can define the next evolution in personal electronic devices. The watch is extremely thin and makes no pretense of being smart, relying on the chameleonic flexibility of its appearance and a clean minimalist shape to win over fans. Because it has no sophisticated electronics inside, it’s also said to last as long as 60 days on a single button battery. Sony isn’t limiting the usage of e-paper to Smartwatches. The Japanese company is experimenting with bow ties, paper holders, and more (see videos below). Coming back to the FES Watch, the gadget doesn’t have a definite release date as of yet. However, the crowdfunded project, hosted on Japanese crowdfunding platform ‘Makuake‘, says that the watch will be available around May 2015. What makes the perfect smartwatch? There have been many false dawns in the past but we should look back on 2014 as the year that the smartwatch turned up for good. That said, with the most popular smartwatch, the Pebble, selling somewhere around 300,000 units, this branch of wearable tech hasn’t exactly gone mass market….yet. “A wrist should be reserved for a nice watch. Thegreat thing is that you can have a real luxury. It’s an acceptable form of jewellery for a man anywhere in the world. Take that away and a man is really restricting himself in showing who he is and what he is. “The way I see wearable tech – and the way we’re going to be delivering our wearable tech – is to make it open source. A lot of things at the moment are very closed off. They’re very big data driven to try and get all your vital stats so they can build on it as a company and gain all that data control. We believe, slightly differently, that it’s actually the people that are going to lead this trend of wearable technology to a degree, and they’re going to want to. So, we should be opening these devices up to them and letting people build on the platform. What makes the perfect smartwatch?. Kickstarter uncovered: tech start-up mecca or wild west of hopeless dreams? Kickstarter uncovered: tech start-up mecca or wild west of hopeless dreams?. 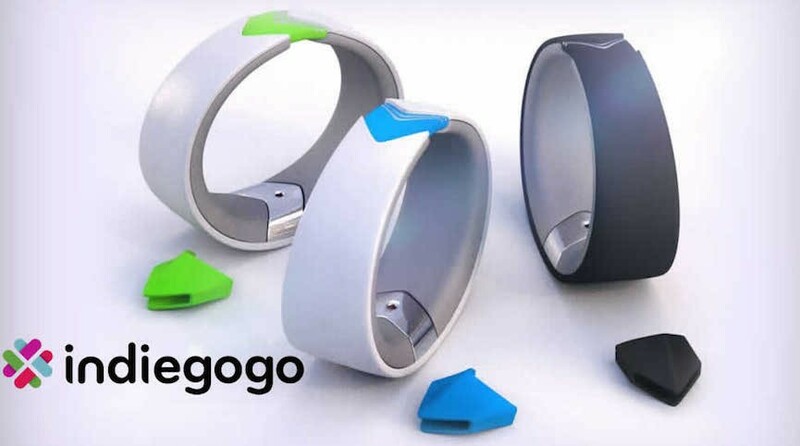 Wearables and Kickstarter go hand in hand. Think of the world’s biggest crowdfunding website’s success stories and it’s the likes of the Mio Alpha heart rate monitor and Pebble smartwatch that spring to mind. 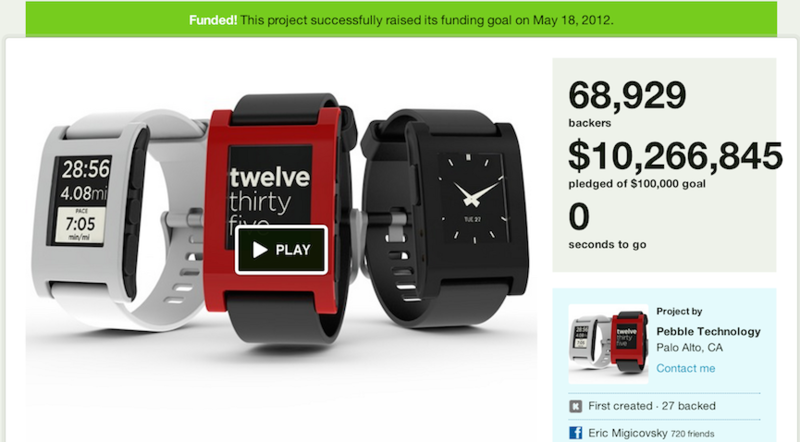 The former was one of the fastest ever to reach its target and Pebble still rates as the second largest completed Kickstarter project of all time, backed by a total of 68,929 enthusiasts to the tune of over $10 millon. Head over to the site now and you’ll see over 100 wearable prototypes vying for your support. So, go for it. Be an early adopter. You have nothing to lose – except your money. Hang on – nothing to lose? Kickstarter presents a win-win situation for both the creators and backers. When you make a pledge, you’re not actually handing over your hard earned money. You’re just promising to do so if said concept reaches its target investment within the time allotted. So, if the idea doesn’t capture the imaginations of enough punters, then you don’t lose out and nor does anybody else. The creator walks away disappointed but more realistic about the potential commercial success of their brainchild in time for them to have not given up their day job. The danger comes when a project actually makes it. At this point, Kickstarter offers backers no protection. If the project never delivers, despite the cash injection, then it’s tough luck. Fortunately, there are a few systems in place to prevent that happening right at the beginning of the funding campaign. It’s credit to Kickstarter that they’re in place and that they seem to be working pretty well too. Any project involving a piece of hardware requires a physical prototype and a realistic manufacture schedule in order to get accepted. So, that makes it tricky for the dreamers, the jokers and the pragmatically inept to bleed you dry. Seekers are also required to describe the risks and challenges to help precipitate any problems before they occur. Kickstarter checks each project before it goes live and responds to concerns from the community throughout the fund raising. The iFind item locator, for example, certainly looked like a good idea; the trouble was that there was no working prototype to back it up. It also relied on harvesting electromagenitc signals from the environment to keep it charged; a technology that’s wonderful in theory but just nowhere near energy efficient enough to power permanent wireless communication. iFind raised over $500,000 before it was suspended. More importantly, Kickstarter also keeps an eye out for projects that appear to be fraudulent, i.e folk who have no intention of ever making or delivering their purported dream devices. The eye3 drone was pulled back in 2012 after the site found that the images used were, in fact, photoshopped versions of an already-available RC helicopter called the Xaircraft. The creators were trying to put together helicopter kit pieces from specialist website cnchelicopter.com and pass them off as something of their own. Further investigation also showed that eye3’s founders had already done a runner with the money from a different, non-Kickstarter project in the past. In both of these cases, because none of the suspicious projects ever made it past Kickstarter’s filters for long enough, the optimistic backers were never charged. In fact, according to a University of Pennsylvania study on Kickstarter, in 2012 only 14 out of 387 projects successfully funded up until that point had actually failed. That gave a 3.6% chance of losing your money if something you’ve backed meets its target. Even then, Kickstarter warns the creators that they might be sued by the backers in such a circumstance, although that’s yet to happen. The story, however, is a rather different one the second biggest crowdfunding site on the internet. Indiegogo gives the creator a choice to keep all of whatever’s been raised regardless. What would you do? Fortunately, there are projects doing the decent thing. Take Canonical, parent company of popular Linux OS Ubuntu. It held what’s know as a ‘fixed funding’ campaign to build a phone that could double as a desktop machine when docked. It was a decent idea but it only managed to gather about half of its $32 million funding before time ran out. Cynically, one might argue that it would have been a PR disaster if a company that promotes free, open-source software had chosen to keep what it had amassed but, either, way Canonical gave all the pledges back. More likely, however, is what seems to be happening with the Healbe GoBe. Healbe has been raising money as part of a ‘flexible funding’ campaign; one where the project rakes it in whether the target is met or not, minus Indiegogo’s 9% fee. The company claims that its GoBe device is the first and only wearable that can automatically measure your calorie intake and burn by simply looking at your skin. Just as optical heart rate monitors work, Healbe FLOW technology is said to combine measurements of blood pressure and impedance to get readings of your metabolic rate. That makes a bracelet that knows exactly what you’ve eaten and how much of it you’ve worked off without you having to manually log so much as a glass of water. It’s the god particle of the fitness tracker universe piece in the fitness tracker puzzle. The only trouble is that it’s completely impossible. All the same, that hasn’t stopped a rush to back this wearable and the Russian company from raising over $1m, 10 times more than it was looking for. Despite some excellent investigative work by website PandoDaily during the fundraising period, Indiegogo decided against killing the highly unlikely sounding technology project, stating its neutrality as a web service. With the campaign now completed, the original August 2014 shipping date of the GoBe has predictably been delayed with 22 September the next promise. We’re not holding our breath. Even when backers of crowdfunded projects do receive their goods, the story doesn’t always work out well. The much-anticipated Kreyos Meteor smartwatch has recently started arriving on people’s doorsteps after its $1.5m campaign came to a close just over a year ago. The device promised full voice and gesture control as well as heart-monitoring and activity tracking all on iOS, Android and Windows Phone too. What turned up seems to be a shonky, cobbled together piece of plastic and circuitry with terrible battery issues, faulty firmware, semi-existent app support and none of the advertised waterproofing – and that’s if you’re lucky. For others it’s been simply dead on arrival. The Kreyos Facebook page is plastered with an aggregate of negative review and vitriol from angry backers and none of this was helped with the publishing of photos on social media of Kreyos CEO Steve Tan pictured driving a Ferrari and crouched grinning ear to ear in a pile of designer bags after an apparent shopping spree in Italy. To do Kreyos and Tan its dues, those images were snapped in 2010, two years before the company or campaign ever existed, and members of the team have been working hard to not only push out firmware updates but also reply to every single one of the those Facebook comments. Still, on the surface there seems no excuse for shipping such a turkey when the funding brought in 10 times the amount request in the first place. The whole operation looks shoddily managed at best and is hardly an ideal advert for crowdfunding. But then there is an obvious problem with some of these projects. They can become victims of their own success. If your initial target gets smashed by 50 times the amount you were expecting, then that could be the difference between creating a few hundred products and tens of thousands of them. Suddenly knocking gadgets out from your garden shed might not be realistic and so the cascade of logistical delays begins. That’s one of the issues sited by Jerry O’Leary, the Chicago based Brit behind the world’s thinnest watch, the CST-01. 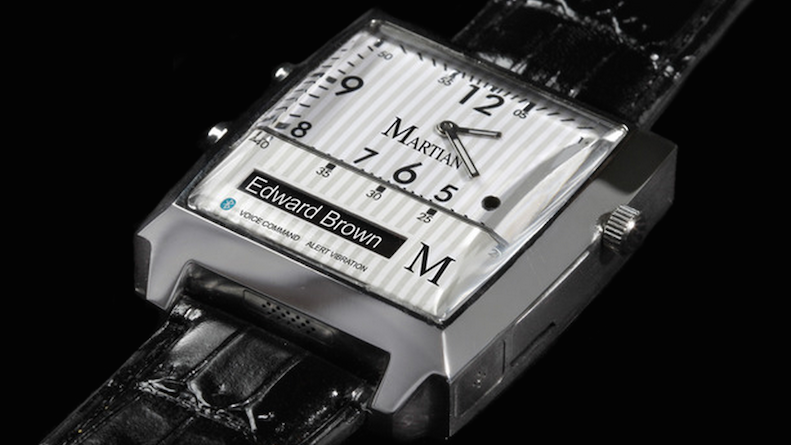 The over-successful Kickstarter venture for this 6g, 0.9mm timepiece concluded with excess of 7,000 backers to supply. The estimated delivery time was originally marked down as March 2013. Sixteen months later and the watch has yet to materialise. In many ways, it’s not really fair for the creators to be put in this position. They’re nailed down to a launch date by their crowdfunding service of choice even though it’s impossible to tell what the future holds in terms of budget, scale and production complications. It’s not surprising that creating a realistic schedule seems so hard to achieve. It’s also important to remember that the imaginative minds behind these ideas are less likely to be experts in management and operations. And so there rolls in a classic dilemma for the honest project creator as the issues mount up. How long is it reasonable to make people wait? The Meteor and CST-01 illustrate both ends of the spectrum nicely. One company has chosen to kick a half-backed device out of the door to appease the crowd while the other, hopefully, seems to want to make sure that the product is perfect first, even if that means missing one deadline after another. According to UoP study of 2012, the majority of successfully funded Kickstarter projects are delayed with a mean added wait of 2.4 months. Bear in mind, though, that figure is smoothed out by those that raise somewhere near what they set out to. Projects over-funded by ten-fold are half as likely to deliver at the time given. The more impressive something is, the bigger its success and the far greater the chances that you’re in for a large amount of thumb-twiddling. So, where does all of this leave the wearables enthusiast? The simple way to look at things is that, if you want you want to play it safe, then pledge on Kickstarter and Kickstarter only. The chances of you getting you money back or your product delivered are very, very high; even if you end up waiting for a while. It’s key to remember that these are not retail sites with regular products. If a product looks technologically impossible, then it probably is. If you’re willing to sail a little closer to the wind, then try some other crowdfunding websites like Indiegogo, but make sure you know the difference between fixed and flexible funding campaigns and use some due diligence to minimise your risks. If a product looks technologically impossible, then it probably is. Do an internet search on the company behind it and its executives, read around what other people are saying and then make up your own mind. It’s also key to remember that these are not retail sites with regular products. They’re for providing funds to make things possible. What you’re really doing is something more akin to the ancient Roman system of patronage than it is a trip down to the shops. Just because an Indiegogo idea never reaches its target, why not support it financially anyway? If it’s a project that you believe in, then let it keep your pledge to take that dream as far as it can. If we’re not prepared to take risks in the search of a better world, then we’ll never get there. Just make sure that you have an idea of what those risks are and whether you expect to see your money, or the fruits of it, ever again. Fremont, CA (November 7, 2014) – ASUS today announced that ASUS ZenWatch, its first wearable device powered by Android Wear and produced in partnership with Google, will be available at Best Buy on November 9th for $199, and is coming soon on Google Play. ASUS ZenWatch is an exquisitely-crafted watch that pairs seamlessly with an Android™ 4.3+ smartphone to provide relevant and useful information when it is needed most, and serve as a personal wellness manager. ASUS ZenWatch follows the tradition of fine watch craftsmanship with its stylish, detail-focused design and use of high quality materials. Its curved Corning® Gorilla® Glass 3 display and case that follows the contour of the wrist, combined with a premium, stitched-leather strap with unique clasp, results in a design that is both comfortable and elegant. With a standard 22mm changeable strap and a selection of instantly-changeable watch faces, ASUS ZenWatch is easy to customize to fit anyone’s personality or sense of style. As a smart companion for Android phones, ASUS ZenWatch provides timely information at a glance and lets wearers get things done with a simple touch or voice command. ASUS ZenWatch brings some of the great features of ASUS ZenUI to an Android wearable for the first time. Users of ASUS smartphones can enjoy seamless integration with ASUS ZenUI on their phones, and experience exclusive ASUS ZenUI apps like What’s Next and Do It Later in ways that are more convenient and powerful than ever. Other apps add additional functionality to ASUS ZenWatch, including Remote Camera, which displays the smartphone viewfinder on the watch, letting wearers easily take selfies and other creative photos. Combining sophisticated sensors with all-day comfort, ASUS ZenWatch is also a personal wellness manager that tracks a variety of wellness statistics, such as heart rate, step counts, and relaxation levels to help wearers keep their lives in balance and achieve personal fitness goals. Employing the attention to detail and level of craftsmanship found in luxury watches, ASUS ZenWatch brings the tradition of fine watchmaking to Android wearables. The durable stainless-steel case features an attractive layered design composed of a striking rose-gold-colored band inset between two steel layers. The case is curved for increased comfort and a stylish look, and the watch face is covered with a layer of curved glass that increases usability by providing a smooth surface for easy and responsive swiping gestures. ASUS ZenWatch has a universal fit that comfortably accommodates a wide range of wrist shapes and sizes. Its soft, genuine stitched-leather strap provides all-day comfort and features a unique clasp design that makes ASUS ZenWatch easy to put on and remove. 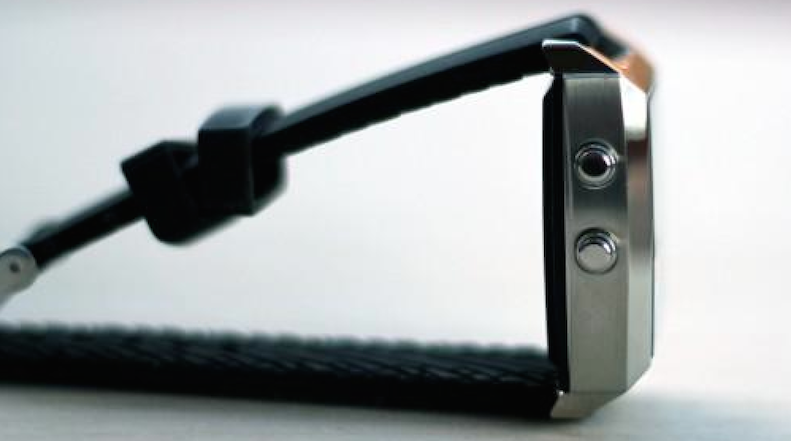 The standard 22mm strap is easily changeable, letting wearers create a unique look for their watch by choosing a strap in their preference of color, style, and material. Complementing its physical design, ASUS ZenWatch comes with a selection of instantly-changeable watch faces to fit any style, mood, or occasion. Wearers can use ASUS ZenWatch Manager on their smartphone to pick a watch face and customize its color and the information it displays, and change the watch face directly from ASUS ZenWatch. ASUS ZenWatch offers over 100 watch face combinations that, together with its changeable strap, provide endless personalization options. ASUS ZenWatch is compatible with all smartphones running Android 4.3 or higher, and provides wearers with a convenient window to view incoming calls, messages, notifications, and other important information, as well as get straight answers to spoken questions, without having to remove their phone from their pocket or bag. All Android smartphone apps will show updates on ASUS ZenWatch, and many apps are creating new experiences to take full advantage of Android Wear. When paired with the ASUS ZenWatch Manager smartphone app, ASUS ZenWatch provides enhanced smartphone integration, the ability to configure watch faces directly from the phone, and advanced features including ASUS ZenUI integration, Watch Unlock, Cover to Mute, and Find My Phone. Two additional features, Remote Camera and Presentation Control are available by using ASUS ZenWatch with the ASUS Remote Camera and ASUS Remote Link smartphone apps. ASUS ZenWatch also integrates seamlessly with ASUS ZenUI on ASUS smartphones and comes with wearable-optimized versions of exclusive ASUS ZenUI app such as What’s Next and Do It Later. What’s Next is an intelligent schedule manager that displays the next important task or event such as appointments — including time and location changes, as well as cancellations — weather updates, and birthday and anniversary reminders for important contacts. 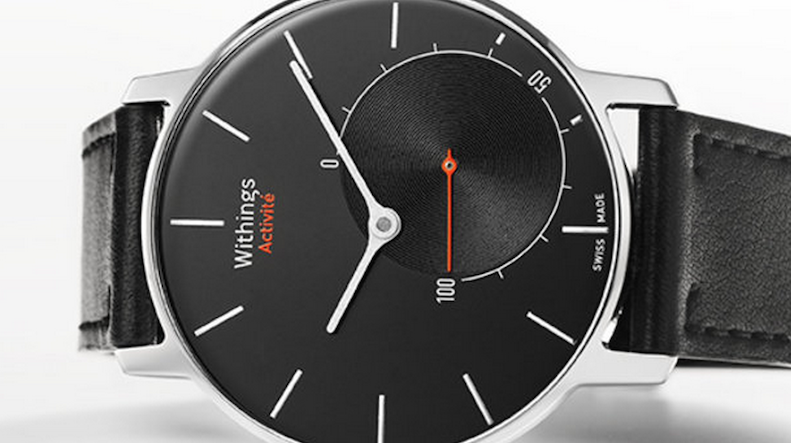 Do It Later reminds wearers of items on their to-do list at just the right time. New email, text message, and missed call notifications are all seamlessly integrated with Do It Later, so wearers can create reminders to read and reply to messages, and return calls right from ASUS ZenWatch. Watch Unlock turns ASUS ZenWatch into a universal key that lets wearers quickly unlock their phone or tablet simply by touching the watch face. Watch Unlock provides a balance between security and convenience by helping wearers protect their personal information, without always having to type a password or PIN into their device. Remote Camera opens up new photographic opportunities for wearers by displaying their smartphone’s camera viewfinder remotely on ASUS ZenWatch. This is useful for group photos, letting the photographer compose the photo, release the shutter, and check the final result while being included in the shot. Remote Camera also frees wearers to take photos from creative angles where the viewfinder would be difficult to see, such as when holding the phone overhead at a concert or other crowded event. Cover to Mute lets wearers easily mute an incoming call by placing their hand over the face of ASUS ZenWatch, helping them avoid situations where a ringtone would disturb others. Cover to Mute can also be used to silence alarms. 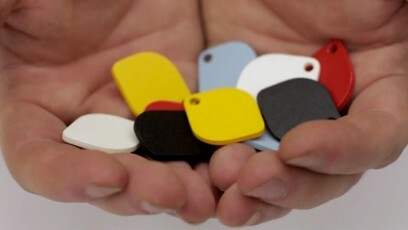 Find My Phone helps wearers find their phone when it is misplaced by ringing it remotely. Alternatively, ASUS ZenWatch Manager on the smartphone can be used to find a misplaced ASUS ZenWatch by making it vibrate and flash. Presentation Control enables ASUS ZenWatch to be used as a remote control and time manager when giving a business presentation or lecture. Wearers can move between slides, keep track of their progress, and keep an eye on the elapsed time all from ASUS ZenWatch, helping them to give polished, effective presentations. Comfortable to wear everywhere and built with sophisticated sensors, ASUS ZenWatch is a full-featured wellness manager that helps wearers maintain a healthy, balanced lifestyle. Using the built-in biosensor, ASUS ZenWatch measures relaxation levels, and then provides wearers with an easy-to-understand relaxation score based on the results. Depending on the score, ASUS ZenWatch provides useful short tips on how to increase relaxation and reduce stress to improve wellness. Relaxation scores are recorded in the ASUS ZenUI Wellness app, so wearers can track their relaxation levels over time. While wearers use ASUS ZenWatch throughout the day, the Wellness app tracks and displays a variety of health-related stats, including steps taken, calories burned, heart rate, activity duration, exercise intensity and relaxation level. The stats are presented as an informative timeline and weekly summary view that lets wearers know at a glance how active their lifestyle is. Wearers can set activity goals — such as a target number of steps to take in a day — and then monitor these goals on ASUS ZenWatch as well as in the Wellness app. The summaries include attractive graphs that are easy to interpret and analyze, and can be used to progress towards future fitness goals. ASUS has also partnered with Jawbone to bring its revolutionary UP system to ASUS ZenWatch. UP is an activity tracker and smart coach that helps wearers be more active. UP counts steps taken during the day and lets wearers log their diet and sleep. With this information UP presents wearers with simple lifestyle adjustments they can make to improve their health and fitness. ASUS ZenWatch will be available at Best Buy and BestBuy.com on November 9th for $199, and is coming soon on Google Play. ASUS ZenWatch Manager, Remote Camera, and Wellness are available now on the Google Play store. The car is not simply something that you sit in to get from A to B. Now it is technically an extension of you and integrates with your wrist. Previously we have shown you OnStar remote controlling a Chevrolet car, well now at IFA 2014 it was BMW’s turn to show off their BMW i3 electric car, and also show what Samsung Gear 2 and Gear S users could do with their Tizen based Smartwatches. All you need to do is download and install the application that is compatible with the Samsung Gear 2, Gear 2 Neo, Gear S and potentially the Galaxy Gear, now you can begin remote controlling your car, presuming the car also has a data connection. For the Gear 2 / Gear 2 Neo you obviously need the device to be paired with a Smartphone for data, but the Samsung Gear S can use the 3G data capability of the built in SIM card slot and communicate directly with the car, bringing a new level of autonomous tech freedom to your wrist. The BMW App shows you the cars battery level so you can judge when you need to top up your electric car, and also has a set of icons that lets you remotely lock or unlock the doors, control the windows, switch on or off the lights and even open the trunk! When navigating you can select a contact from your wrist and have their address details beamed to the cars built in navigation system, making address input a less daunting task. Also locations for charging stations and virtually all of the features that can be found in mobile app for Android and iOS can be found in the watch app. App availability is not known at the moment, but it is hoped that is happens soon after the Gear S launch. Can you see yourself controlling your car from your wrist?